Η Volkswagen επεκτείνει την υπάρχουσα γκάμα του Golf με την προσθήκη της Alltrack έκδοσης, η οποία παρουσιάζεται στο Παρίσι. Η 5η έκδοση του VW Golf, τοποθετείται ανάμεσα στην station wagon έκδοση του ίδιου αυτοκινήτου και στο Tiguan. Η απόσταση από το έδαφος είναι αυξημένη κατά 20 χιλιοστά ενώ διαφοροποιείται αισθητικά χάρη στους ανασχεδιασμένους προφυλακτήρες, τα μαύρα προστατευτικά πλαστικά, τα αλουμινένια προστατευτικά, τις ράγες οροφής και τις μεγαλύτερες ζάντες ελαφρού κράματος. Europe’s largest carmaker is celebrating the world premiere of this all-wheel drive model at the Mondial de l’Automobile in Paris next week (2 to 19 October). 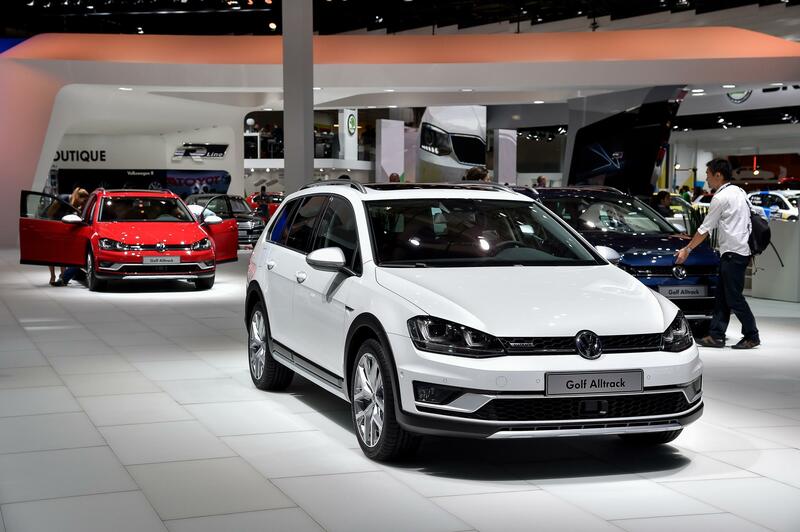 Technical and visual properties of the Golf Alltrack include a 4MOTION all-wheel drive system, higher ground clearance, wheel arch mouldings and flared side sills that offer body protection, newly designed bumpers and many other independent exterior and interior features. Offroad driving profile and off-road suspension. 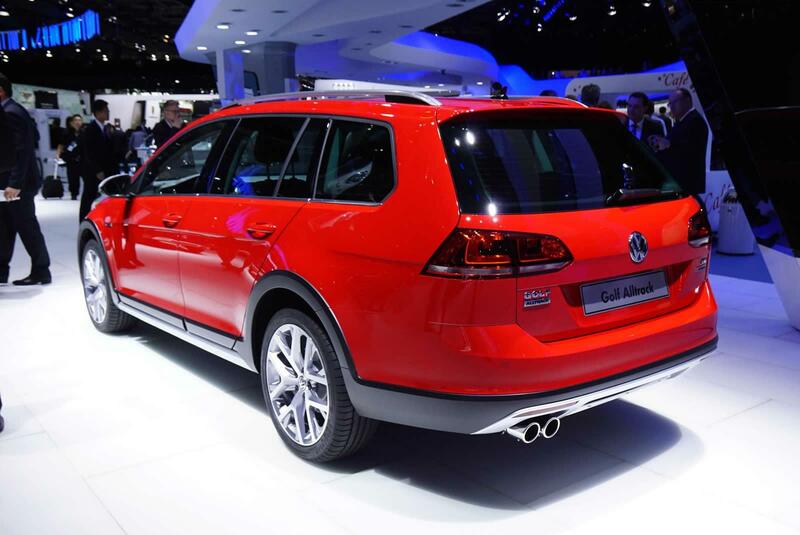 The combination of the up to 20 mm higher ground clearance, “Offroad” driving profile and 4MOTION four-wheel drive system give the newest Golf off-road driving traits that are typical of an SUV. The “Offroad” driving profile activates a hill descent function (automatically brakes the car), modified accelerator pedal characteristic and off-road configuration of the ABS system (modified control interval when braking forms desirable wedge of gravel in front of wheels). 2.0 TDI with 150 PS. At the next power level up, Volkswagen uses a 1,968 cc TDI with 150 PS in the Alltrack which has a combined fuel consumption of just 57.6 mpg (127 g/km CO2). This 2.0-litre TDI has two balancer shafts which makes it run very smoothly. It develops its maximum power between 3,500 and 4,000 rpm, and its maximum torque of 340 Nm is available from a low 1,750 rpm (up to 3,000 rpm). 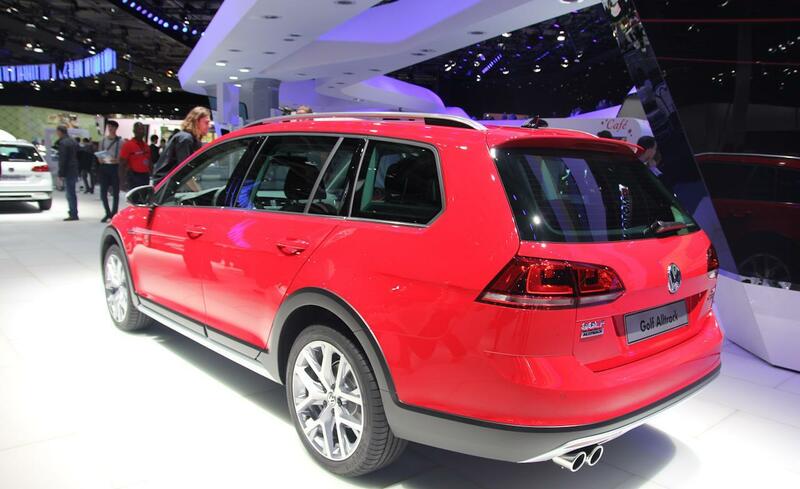 The Golf Alltrack 2.0 TDI has a top speed of 128 mph and accelerates to 62 mph in 8.9 seconds. 2.0 TDI with 184 PS. This Golf Alltrack 2.0 TDI sets a record with an output of 184 PS (at 3,500 to 4,000 rpm), becoming the most powerful Golf ever in an Estate body. The two-litre turbocharged engine delivers its maximum torque of 380 Nm to the 6-speed DSG – which comes as standard on this car – from a low 1,750 rpm. It maintains this constant value up to 3,250 rpm. The car’s power and torque figures, along with its all-wheel drive system not only perfect its off-road properties but also enable trailer loads of up to 2,000 kg (braked on 12 % incline). The engine, which was adapted from that in the Golf GTD, also delivers extremely sporty driving performance: 7.8 seconds for the sprint to 62 mph and 136 mph top speed are proof of this. The Golf Alltrack 2.0 TDI consumes just 55.4 mpg (134 g/km CO2). Exterior – side profile. 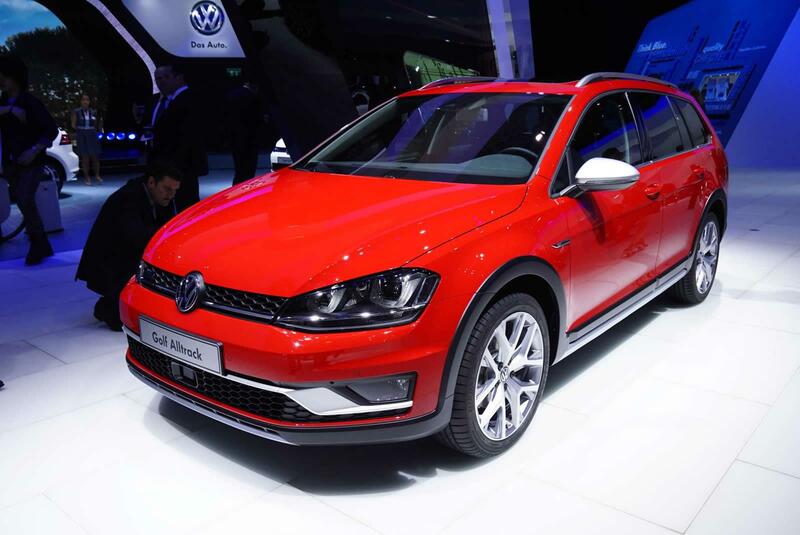 The Golf Alltrack, which has up to 20 mm additional ground clearance, essentially has the same car body as theGolf Estate. However, much of the exterior of the new model was customised, resulting in a very charismatic vehicle. 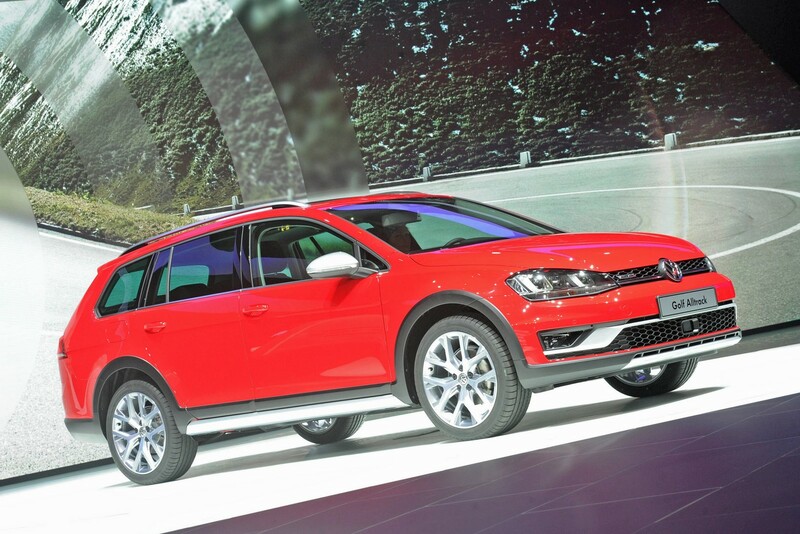 From the side, the black wheel arch mouldings of the Golf Alltrack are visually prominent; this rugged protection is continued in mouldings that run above the side sills and into the lower areas of the redesigned bumpers. The side sills, painted in matt “Reflex Silver” have sporty flares that offer additional protection. The car’s side body styling is complemented by 17-inch “Valley” alloy wheels designed specifically for the Volkswagen Alltrack models, door mirror caps painted in glossy “Reflex Silver”, an “Alltrack” badge on the wings, a chrome trim strip (matt) beneath the side windows and the “Silver” anodised roof rail. Exterior – front and rear. 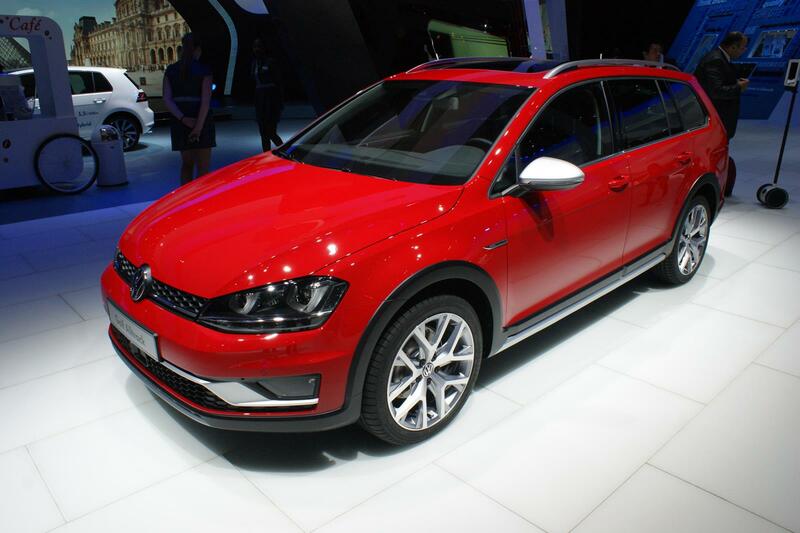 The independent front end of the Golf Alltrack features a low-profile radiator grille crossbar in the upper front area that sports an aluminium look (matt) and extends into the headlights. The radiator grille in honeycomb design with a chrome “Alltrack” badge was designed in matt “Black”. The lower cooling air intake in the fully redesigned bumper also has a honeycomb structure. Another visual highlight here is a distinctive crossbar in “Reflex Silver”, which extends across the entire width of the bumper and into the side body where, like a wing, it integrates the standard fog lights (with integrated cornering lights). Underbody protection in “Reflex Silver” completes the lower section of the front end. 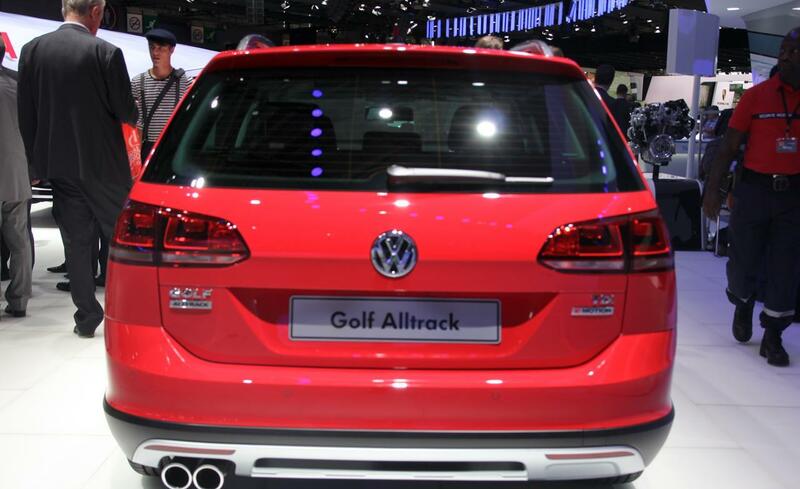 At the rear, the Golf Alltrack – which is equipped with dark-red rear lights – has a new bumper design with a visually dominant underbody protection in “Reflex Silver”. The version with the 180-PS TSI engine can be made out by its dual-branch exhaust system with separate chrome tailpipes on the left and right. 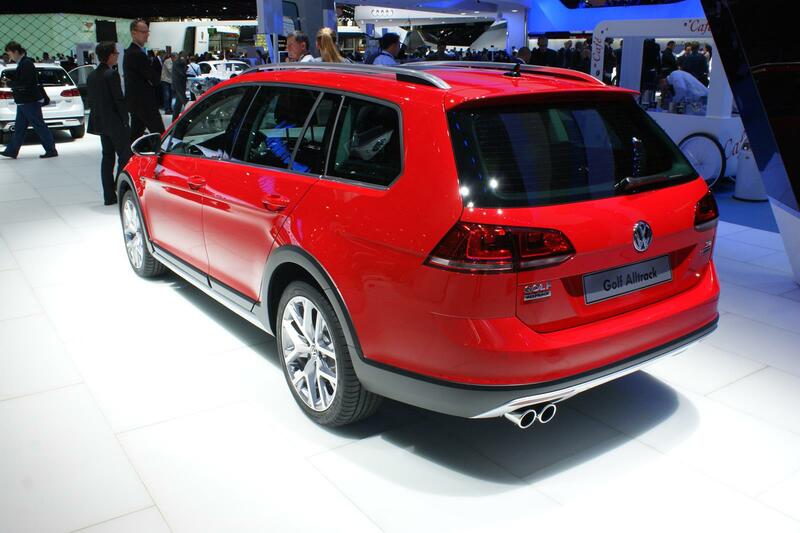 Meanwhile, the TDI versions have a sporty visual presence with dual chrome tailpipes on the left side. Interior.The high-end interior of the Golf Alltrack reflects its sporty off-road character. In this car, interior styling is defined by such details as a leather-trimmed steering wheel and gear shift lever, custom seat covers with the “Alltrack” badge on the backs of the front seats, accents in “Dark Magnesium” (centre console) and “Tracks” (dashboard and interior door trim) as well as ambient lights in the door trim. Other standard features (in addition to the “Comfortline”) include: automatic climate control (“Climatronic”), LED reading lights for the front and rear seats, lights in the front footwell areas, “Composition Touch” infotainment system, Driver Alert System and cruise control system. Exclusive features include a chrome trim strip with “4MOTION” lettering on the centre console compartment lid, stainless steel door sill plates with “Alltrack” lettering and chrome accents for various switches and buttons (lights, electric windows, mirrors). Sporty features include the (optional) black rooflining, including upper roof pillar trim elements, and custom pedals and foot rest with an aluminium look.